As UMBC’s Class of 2017 busily prepares for commencement—reserving caps and gowns, signing job contracts, completing visa paperwork to research, study, and teach abroad—the UMBC community honors our soon-to-be graduates for all they have achieved in their time as Retrievers, and the legacies they will leave as they take their next steps. Daniel Ocasio ’17, chemical engineering, is valedictorian of the UMBC Class of 2017. 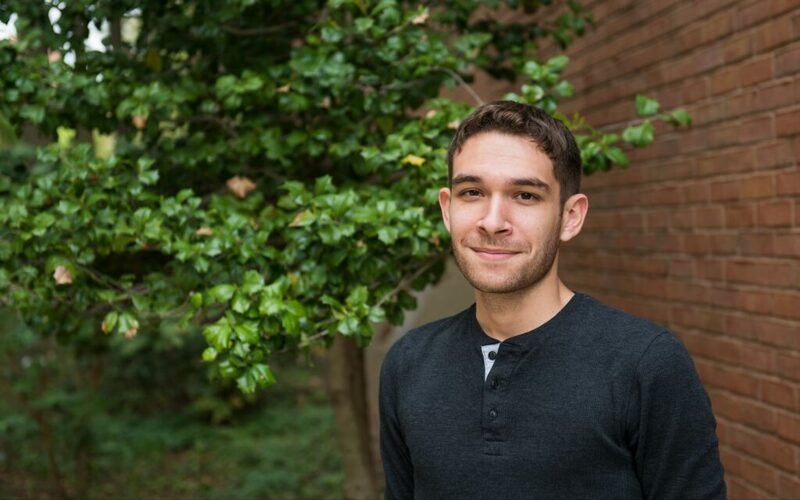 A Meyerhoff Scholar, MARC U*STAR Scholar, and Howard Hughes Medical Institute Scholar, Ocasio is also a first-generation college student appreciated across the university for his leadership in research, academics, and student organizations. This includes founding the UMBC chapter of the Society of Hispanic Professional Engineers. In 2016, Ocasio was one of three UMBC students to receive the prestigious Barry M. Goldwater Scholarship, along with Andreas Seas ‘17 and Naomi Mburu ’18, also chemical engineering majors. 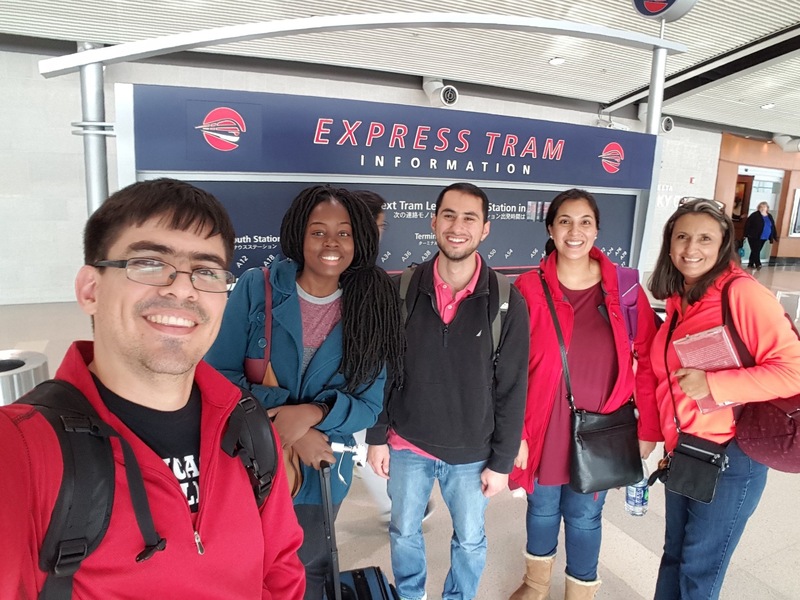 He has received the highly competitive and nationally prestigious NSF Graduate Research Fellowship and GEM Fellowship to support his Ph.D. studies in environmental engineering at UC Berkeley, focused on water quality and water treatment. It is crucial to realize that support can change a person’s trajectory in life… Although I had a positive outcome, many like me do not. Whenever possible, be a source of support for others. It may have a bigger impact than you would expect. The Class of 2017 includes many other high achieving young scientists, heading to M.D., Ph.D., and combined programs at Harvard, Carnegie Mellon, and Duke. It also includes visual and performing artists who have already begun their creative careers, tech leaders heading to top graduate schools and industry, and social science and humanities students heading to law school, teaching careers, Ph.D.s, Fulbright fellowships, and Peace Corps service. During her doctoral studies, Opoku-Boateng received scholarships and grants from IBM, Google, LinkedIn and Xerox, and presented at numerous conferences, including sharing award-winning work at the engineering-focused Global Students Forum in South Korea. 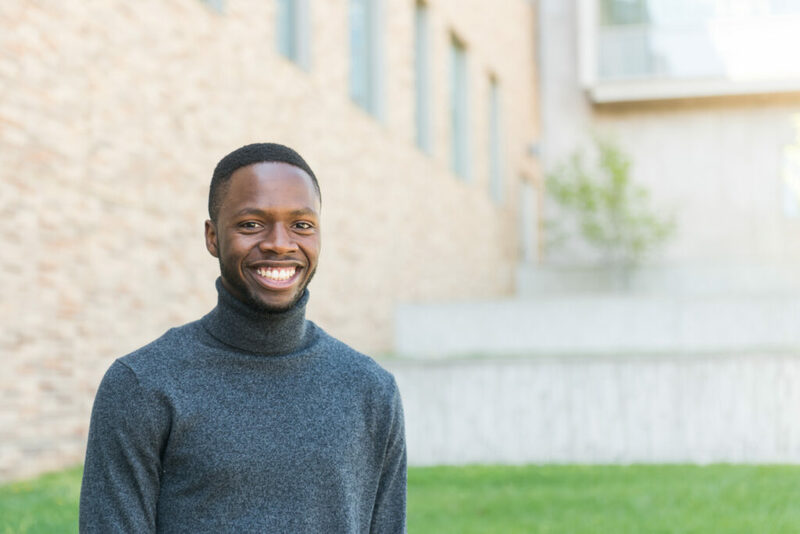 Post-Ph.D., Opoku-Boateng will work as a user experience research scientist at Northrop Grumman. Gloria Opoku-Boateng, second from the left, during her trip to the Global Student Forum in South Korea. Photo courtesy of Opoku-Boateng. 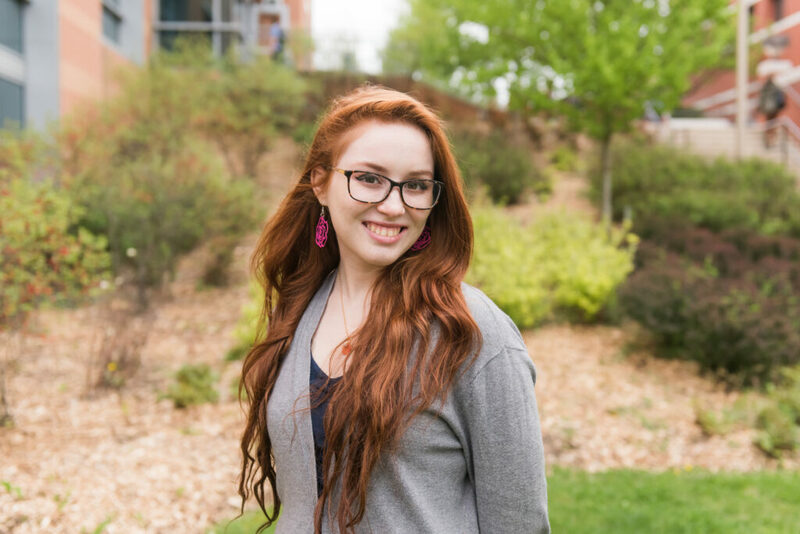 Isabel Geisler ’17, global studies, a Sondheim Public Affairs Scholar and France-Merrick Fellow, has excelled as a student researcher, combining her interests in gender, power, and economics through a study in Honduras focused on fair trade coffee. But her greatest UMBC legacy may be the Reach Initiative, a program she founded to support Baltimore high school girls interested in STEM, based on the pillars of mentorship, research, and empowerment. “At UMBC no one has ever told me to temper my ambitions. It was here I learned the adage of not asking if I can do something, but how I can do it,” Geisler says. She focused on planning the Reach Initiative and building the partnerships that would make it a success for two years before running a pilot in 2015-16, and formally launching the program in 2016-17 with 20 mentors and 20 mentees. She will soon begin a Ph.D. in sociology at Northeastern University. Header image: Spring 2017 UMBC graduate Isabel Geisler, a Sondheim Public Affairs Scholar. Portraits by Marlayna Demond ’11 for UMBC.